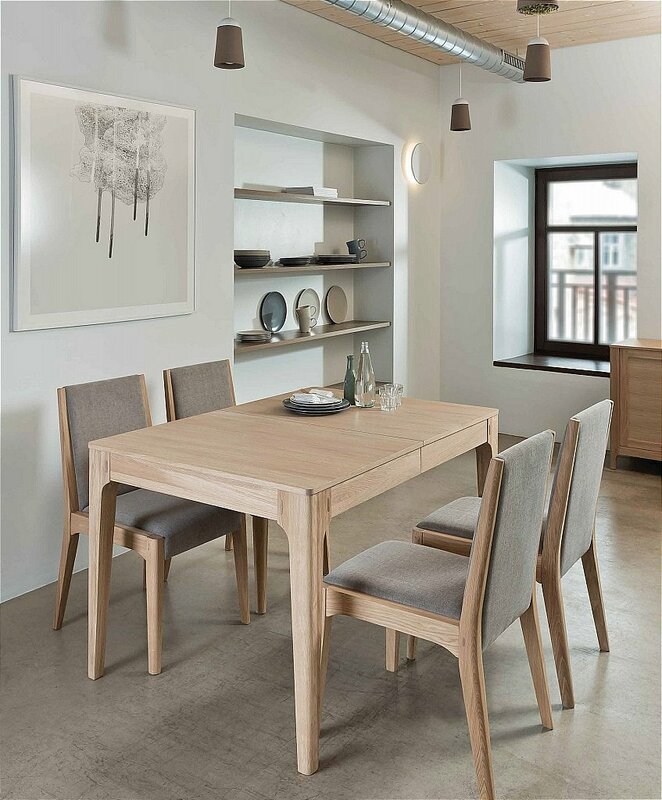 This is a beautifully crafted modern dining range comprising of eleven living and dining pieces. The range is constructed from solid oak and veneers, the finish is light and fresh. Straight lines contrast with subtle curves evoking a sense of mid century Scandinavian design, while its clean simple lines give it a sense of modernity. The integral handles, rounded leg detail and subtle curves create a timeless design that will look stunning in a modern apartment or country home. All dining tables are extendable, the TV unit has sliding doors and the sideboards provide plenty of storage. The occasional tables and mirror complete the range. This range of furniture provides the solution to every aspect of modern living. I would like more information about Mia Dining by TCH.